NEW DELHI: The Indian government on Thursday told the Supreme Court that Rohingya refugees were “a threat to national security”, pushing back against condemnation of its plans to deport them. India’s top court is hearing a challenge to Prime Minister Narendra Modi’s government’s decision to deport Rohingya Muslims, filed by two Rohingyas living in Delhi who fled their village in Myanmar’s western Rakhine State about six years ago. The decision to deport Rohingyas comes as Myanmar’s military crackdown in Rakhine has forced hundreds of thousands of Rohingyas to seek shelter in Bangladesh, in a process the UN has described as ethnic cleansing. Myanmar says its forces are carrying out their legitimate duty to restore order after guerrilla attacks on Aug. 25 on security posts and an army camp in which about a dozen people were killed. Close to 40,000 Rohingya Muslims live in India after fleeing Myanmar over the past decade. Nearly 15,000 have received refugee documentation, according to the United Nations, but India wants to deport them all. 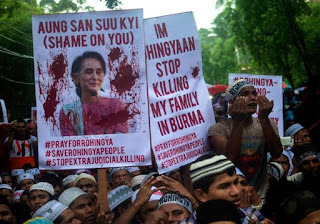 Rohingyas are denied citizenship in Buddhist-majority Myanmar and regarded as illegal immigrants, despite claiming roots that date back centuries. 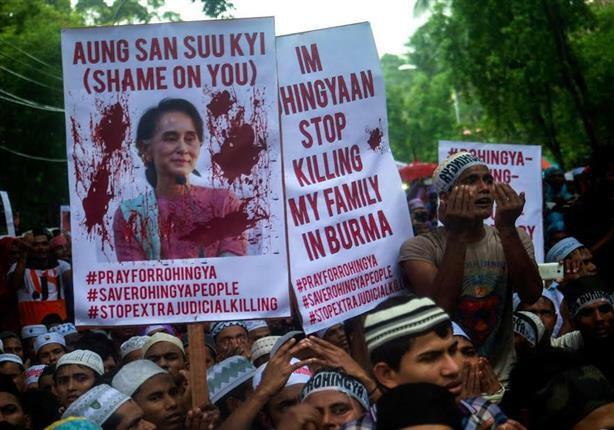 Some groups allied to Modi’s Bharatiya Janata Party have stepped up calls for Rohingyas to leave, and Modi said last week that India shared Myanmar’s concerns about “extremist violence” in Rakhine state. Intelligence agencies suspect that Rohingya Muslim leaders in India are in touch with Pakistan-based militant groups, the lawyer said. The lawyer declined to be named because an affidavit the home ministry is preparing to file with the court has not yet been finalised. Bangladesh is also growing hostile to the Rohingya, more than 400,000 of whom live there after fleeing Myanmar since the early 1990s. From Bangladesh, some Rohingyas have crossed into India. Aid groups and human rights activists have criticised the plans to expel Rohingyas, and some lawyers say deportation would violate India’s constitution. The Supreme Court is expected to start hearing the case on Monday. India this week sent 53 tonnes of relief materials to Bangladesh for Rohingyas fleeing Myanmar.